See what's on at one of the busiest months of the market! 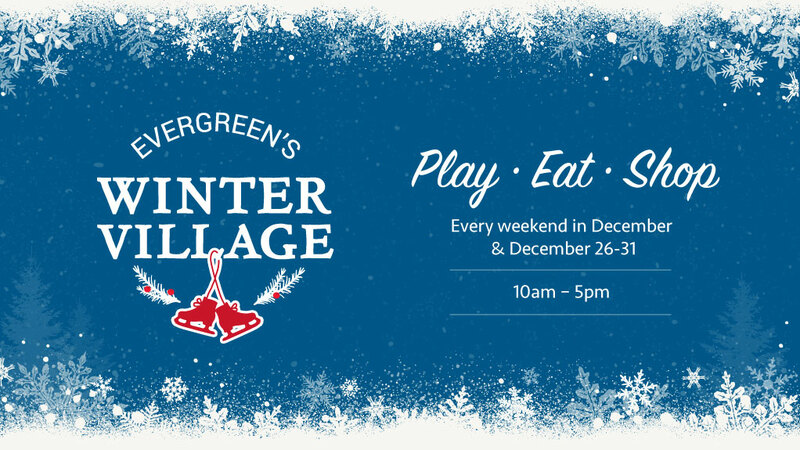 With both the Saturday Farmers Market and Evergreen's Winter Village, December is easily one the busiest months of the year at Evergreen Brick Works! On top of our regularly scheduled events, we are kicking off lots of new and exciting programs – including Saturday cooking demonstrations with chefs Brad Long and Paul Thomas from Cafe Belong. On Sundays during Winter Village, we will be offering Syrian cooking workshops with Newcomer Kitchen. Find out more about Cafe Belong cooking workshops. In other exciting news, December is the first month for the new Saturday Farmers Market monthly blog format. Rather than simply providing recipes, we will now be looking at farming issues and letting you know how they affect market vendors within our community! For December, we are discussing whether or not eating fresh and local produce is possible during the long winter months in Ontario. Surprisingly, some of the farmers at Evergreen are even busier in the winter! Just because winter starts in December does not mean the farming stops. In order to do this, we are looking at how two vendors - Fresh and Tasty Mushrooms and Joyfully Organic Farm – get through the long winter months. These farmers produce vastly different products, however, they both stay rather busy in the winter, both in order to continue selling throughout the winter, but also in preparation for spring and summer 2019. Joyfully Organic’s winter is broken up into two parts. Part one entails working diligently to prolong their season that way consumers like you and I can continue eating fresh and local foods. So while most of us are off enjoying indoor heating, they are outside working hard in the cold and snowy fields. Although Joyfully Organic grows the vast majority of their crops in open fields, they do have a heated tunnel. It currently has baby arugula, parsley, and herb celery growing in it. In the spring, this is where they will start their seedlings. Of course, the unpredictable winter weather can and does cause havoc. 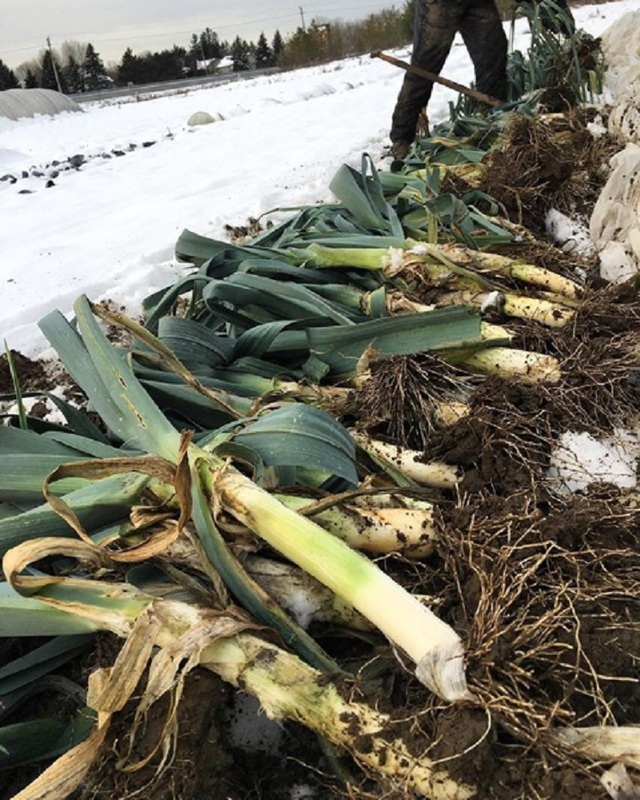 As such, the plan is for Joyfully Organic to be at Evergreen with fresh produce – winter cabbage, leeks, kale, and root veg – until mid-January. Nonetheless, if prolonged, below-freezing temperatures arrive sooner than expected, Joyfully install hoophouses over their greens, pull tarps over their crops, and make sure their wash station is thawed so that they still have clean veg for their markets and community-supported agriculture. Fresh and Tasty Mushrooms is located 107km north of Evergreen Brick Works, in Dufferin County. Originally a family farm that raised cattle and rabbits, in 2006 they converted to mushroom farming, adding honey and vegetables to their repertoire in 2016. As the name suggests, Shannon and Sean specialize in producing and selling hardwood decomposing mushrooms. In the summer, they also forage approximately 40 different varieties of wild mushrooms. If you love mushrooms, you should stop by their booth on Saturdays! They are at Evergreen year-round. In Ontario, farming is all-season work. 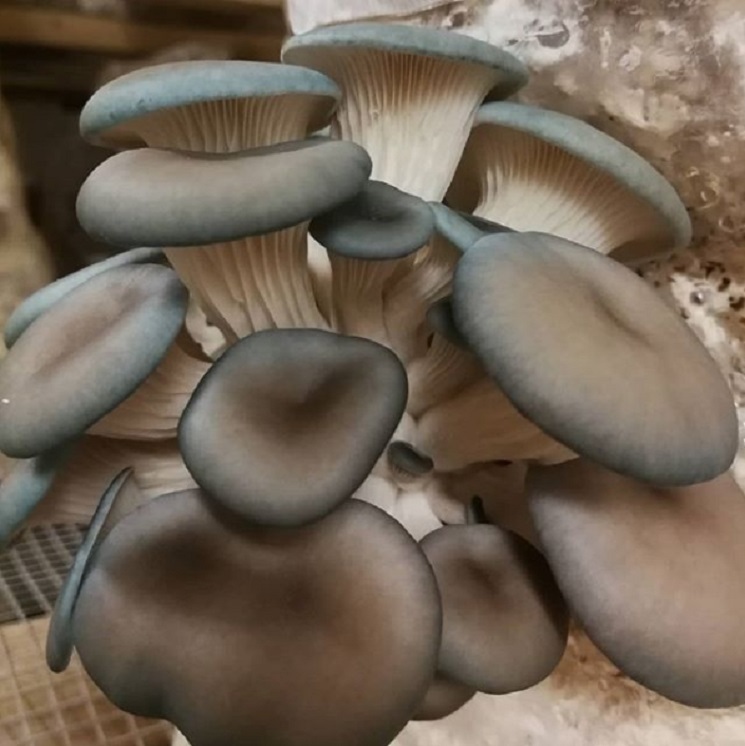 Both Joyfully Organic Farm and Fresh and Tasty Mushroom demonstrate that there is a plethora of winter farm work to be done and that by working with instead of against the climate and weather, farmers can avoid damaging impacts without forfeiting crop diversity, productivity, and profitability. In this section, we've highlighted some great events coming to the market this month. December also means the return of Winter Village! Come shop for holiday gifts and stay for the food, eggnog and seasonal beers on offer at the Sipping Station. Unlike last year, Winter Village will be in the TD Future Cities Centre and Koerner Gardens. It also marks the return of skating! Learn more about skating lessons and public skate times on our skating rink page. As part of Winter Village, you can also participate in an amazing cooking workshop with women from Newcomer Kitchen. 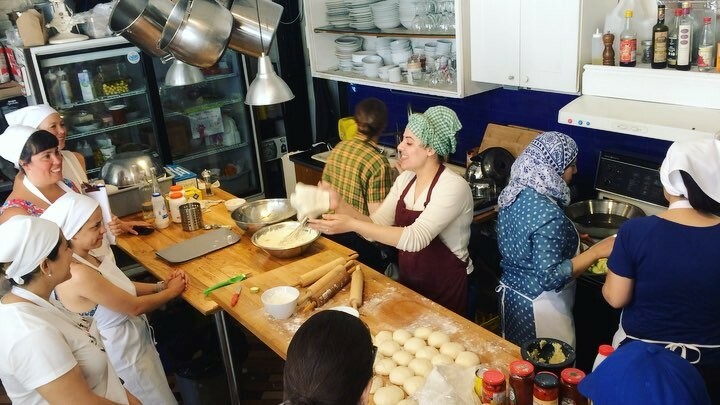 Newcomer Kitchen is a not-for-profit organization that invites Syrian refugee women to come and cook a weekly meal at The Depanneur on College Street. Over a two and a half hour long class, you will learn how to make a number of delicious Syrian treats! Workshops will take place during the first three Sundays in December. The cost is $60 + HST. Find out more and register online. Music at Evergreen's Winter Village! Lastly, it is with great pleasure that we can tell you musical buskers are returning in December! Buskers are highly valued members of the Farmer’s Market. We feel that music adds some rhythm and holiday spirit to Winter Village. Check out the schedule of buskers below. There is plenty happening at Evergreen Brick Works this month, from the Saturday Farmers Market and beyond! We hope you get a chance to visit us and take in this magical time of year. To see all the events and activities happening at the Brick Works this month, visit our What's On Calendar. Thank you to our generous Title Sponsor Bank of America Merrill Lynch.